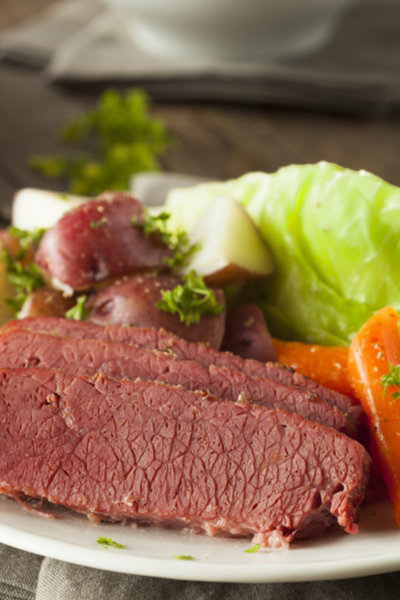 Instant Pot Corned Beef and Cabbage – taking this traditional American Irish recipe to a new level. 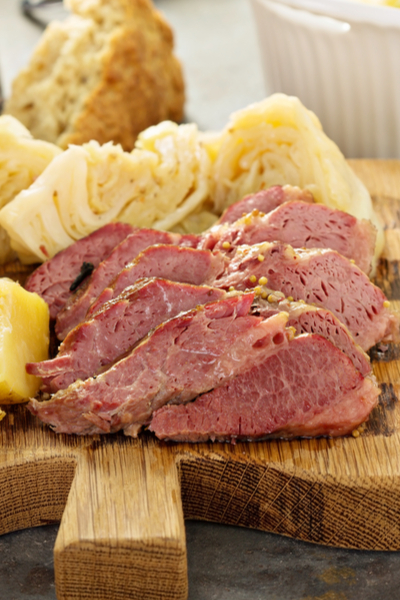 When you think of St. Patrick’s day meals, does Corned Beef and Cabbage come to mind? Instant Pot Corned Beef and Cabbage, served with potatoes and carrots. Many people associate this classic meal with one that is traditionally served in Ireland. However, that really isn’t the case. A historically popular Irish celebration meal typically consists of bacon or lamb. However, there was a large presence of corned beef in Ireland in the early 17th century. Corned Beef Roast rinsed and ready to be put in the Instant Pot. In an effort to make a long story short, Ireland had access to large sums of salt. These salt pieces were the size of corn. In an effort to preserve beef that was imported into Ireland, they would salt the beef in the corn sized salt pieces. and place it in a brine with other spices. Thus, corned beef was born. 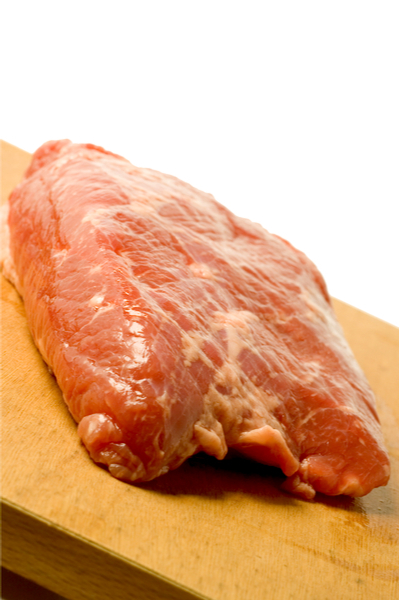 However, the people of Ireland rarely indulged in the consumption of beef. It was used as an export product. But as time moved on, and the potato famine hit, Ireland, including its corned beef, was never the same. I place the fatty side of the corned beef up when put in the Instant Pot. It wasn’t until the Irish immigrants moved to America that corned beef became an Irish celebration meal. With the move to America, the people of Ireland began to indulge in eating more beef products. Just like their ancestors, they began to preserve beef with salt, brine and spices. But unlike their ancestors, they actually ate it as well. As the corned beef cooks, prepare your vegetables. It became a source of pride for them to share this dish during celebration meals, including St. Patrick’s Day. It was a long and slow cooking process to make this tough cut of beef tender and palatable. 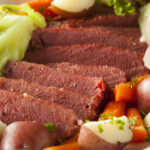 Too bad those original Irish immigrants couldn’t make Instant Pot Corned Beef! I have always made my corned beef in a slow cooker. But when I first purchased my Instant Pot 6 quart Duo, I knew that this would be a great recipe to transition to the pressure cooker. Once the corned beef has been cooked, remove it and cook the vegetables. One of the biggest benefits of the Instant Pot is that it can cook items that typically take all day in a fraction of the time. Corned beef is the perfect example. What would take all day in the slow cooker now takes less than 2 hours to complete. And best of all, it is simple to prepare. Instant Pot Corned Beef sliced and ready to be served. Be sure to make some Irish Soda Bread to serve with dinner! And in the off chance that you have any leftover corned beef, you have to make a Reuben sandwich! Corned Beef, cabbage, and potatoes made in the Instant Pot in a fraction of the time as compared to traditional methods. Rinse corned beef under cold water for 1-2 minutes. Pat dry with paper towel and set aside. Add onion sections to the liner of the Instant Pot. Place the rinsed corned beef on top of the onions. Add the garlic and corned beef spice packet over top of the corned beef. Pour the water down the side of the Instant Pot and close and lock the lid with the valve in the sealing position. Pressure cook/Manual on HIGH for 70 minutes. Once the cooking time expires, allow for a Natural Pressure Release for 15 minutes. Manually release any remaining pressure. Remove the corned beef and 3 cups of the hot liquid to a large bowl and set aside. 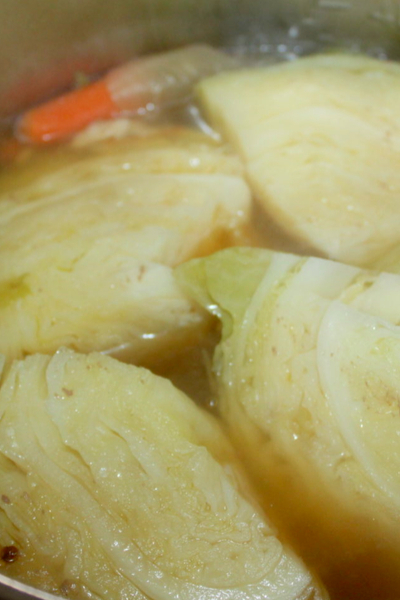 Add red potatoes, carrots, and cabbage wedges in the Instant Pot with the remaining liquid (approximately 1-2 cups). Close the lid and place the valve in the sealing position. Pressure cook/manual on High for 3 minutes. Once the cooking time expires, perform a Quick Pressure Release. 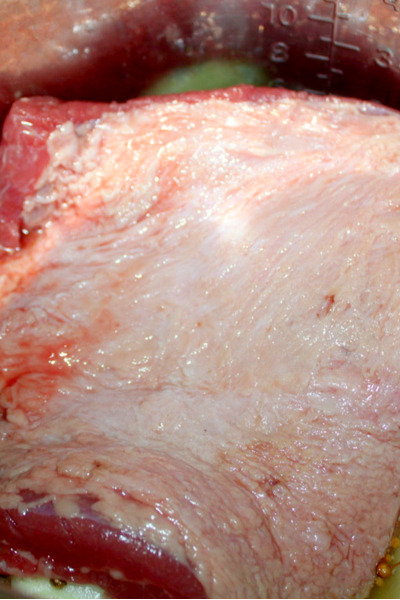 To serve, slice corned beef against the grain into ⅛ inch slices. 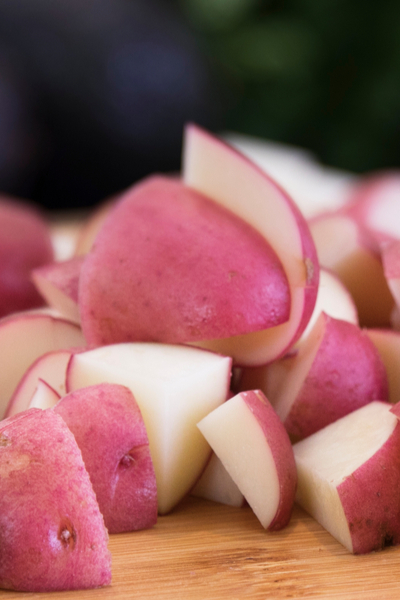 Serve with cabbage wedges, red potatoes and carrots.